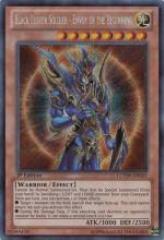 * Target 1 monster on the field; banish that target face-up. This card cannot attack the turn you activate this effect. * During the Damage Step, if this attacking card destroys an opponent's monster by battle: It can make a second attack in a row.